Imagine controlling all of your electrical components via one simple, programmable, touch screen system… ready to plug and play. Digital switching has been a part of our life in the telecommunication & automotive industries and now SeaStar has brought this technology to the marine market. Wiring analogue DC systems on your boat can be very complex and this problem is scaled with the size of vessel which can sometimes lead to multiple switches per load. Analogue DC systems are difficult to install and troubleshoot, however, a digital switching system from MDI solves these problems through the use of a fully integrated touchscreen display to replace all the physical switches on your dashboard. This touchscreen display is also corrosion proof which therefore eliminates the common corrosion issue found with physical switches. Digital switching modules are dispersed around your boat and connected with a single network cable, which will provide you with more room inside your boat instead of using up space for wiring bundles in the walls. Digital switches are infinitely customizable. If you would like to turn on different lights at the same time, you can quickly change it without having to rewire your boat and the self diagnostic systems will report any wiring issues. All of these features offer you a fully intergrated boat where all of your electrical systems and actuators are controlled through the screen. 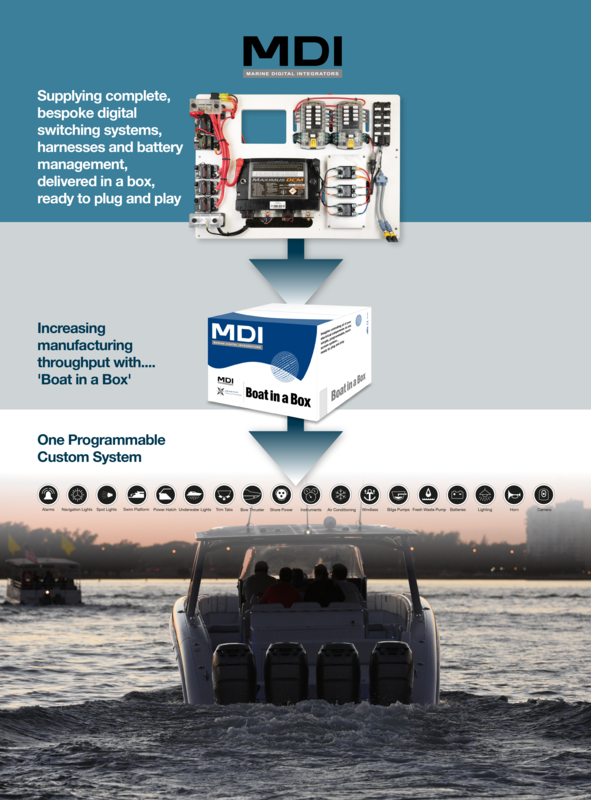 Besides digital switching, MDI provides complete electrical system design & development services to production boat builders with a focus on vessel control functions and advanced battery management. MDI provides plug-and-play systems that are designed, built and fully tested at out facility before they are shipped. Combining that with our expert service and support and we believe you will increase your manufacturing throughput. 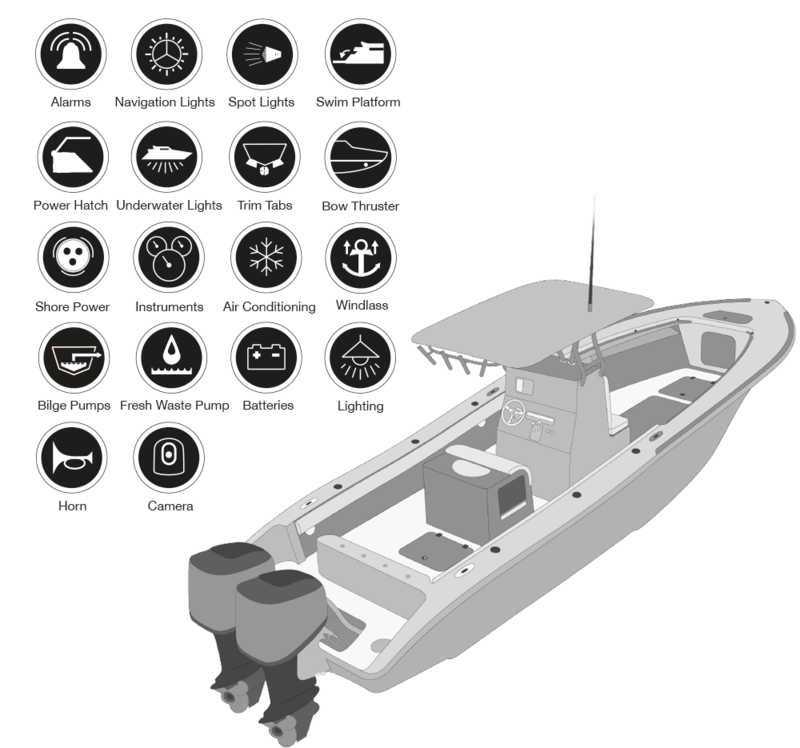 The culmination of every one of these features brings with it the latest technology as well as easy electrical installation and expert service to your boat manufacturing. 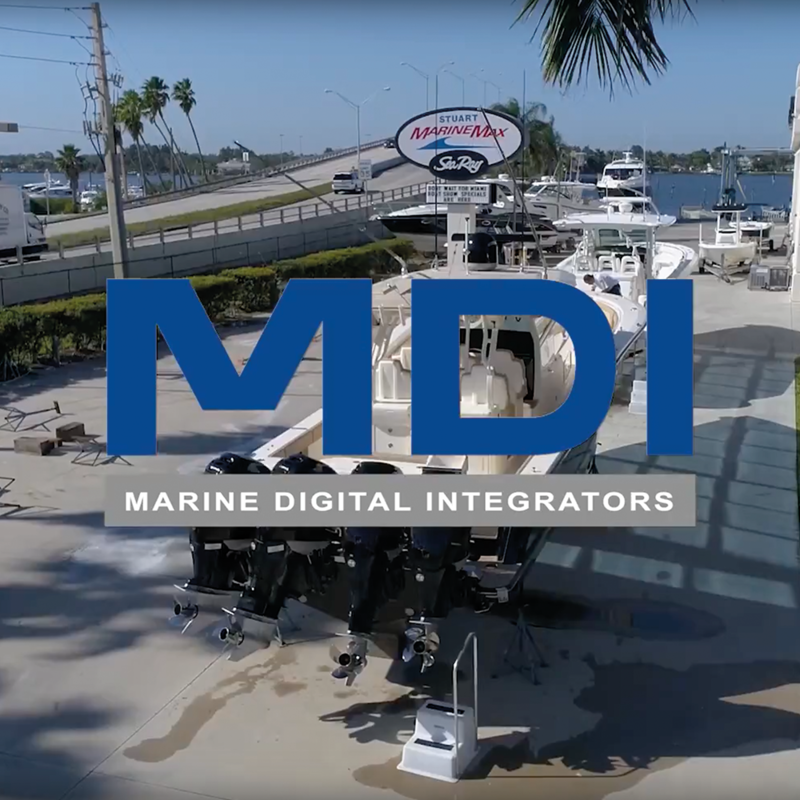 Now that you know what MDI is, take a look at how MDI works and the many benefits it has for you and your customers boat building experience. • Speeds production by reducing time required for wiring. • “Plug n Play” systems are designed, built and fully tested at our MDI. • Reduces wiring complexity improving reliability and reducing labor costs to install or service. • In-house expertise provides ABYC compliant AC and DC digital electrical system designs. • Complete electrical system design and development services. • Integrates with Optimus steering, third party devices and other SeaStar components. • Proprietary designs allow for unique brand specific features. • Digital systems training and field support. • Expert service and on-site support. • Touchscreens replace physical switches to increase usable helm space. • Digital displays eliminate switches and associated corrosion issues. • Advanced troubleshooting and diagnostic reporting. • Integrated Vessel Control simplifies ride control. • Optional remote connectivity (Telematics). • iPad, iPhone and Droid control.